When King Henry VIII asks you to be his eyes and ears, you are drawn into a world of deception and murder. Travel across Europe as a spy and uncover conspiracies, assassination attempts, and other threats against England and her King! Find vital clues in even the simplest of objects as you explore the world of The Tudors. Political intrigue spans national borders in this historical hidden object game based on the TV series! 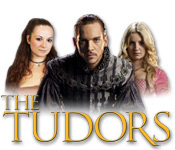 Also available: The Tudors Game Walkthrough. The Tudors may be downloaded and purchased for $6.99 with a Big Fish Game Club membership. A demonstration version (145.62 MB) may be downloaded and played for free for one hour.